This is a responsive template for transportation websites, and the layout is very heavy on images with white space surrounding content blocks and background images. The stick to top menu is quite handy for navigation through your site, while Google maps offer real life navigation to your office. Websites of transportation companies don't have to be dull and uniform, and this responsive Transportation website template is a proof. It features an exquisite image-heavy layout that consists of square and rectangular content blocks of various sizes and backgrounds surrounded by white space. Its cleverly selected typography is intended to effectively display text-based content, whereas a Google Map in the footer will be useful for informing your clients about the location of your office or depot. This beautiful template is built using HTML5 and CSS3 , which means it's visually advanced, and fully responsive. 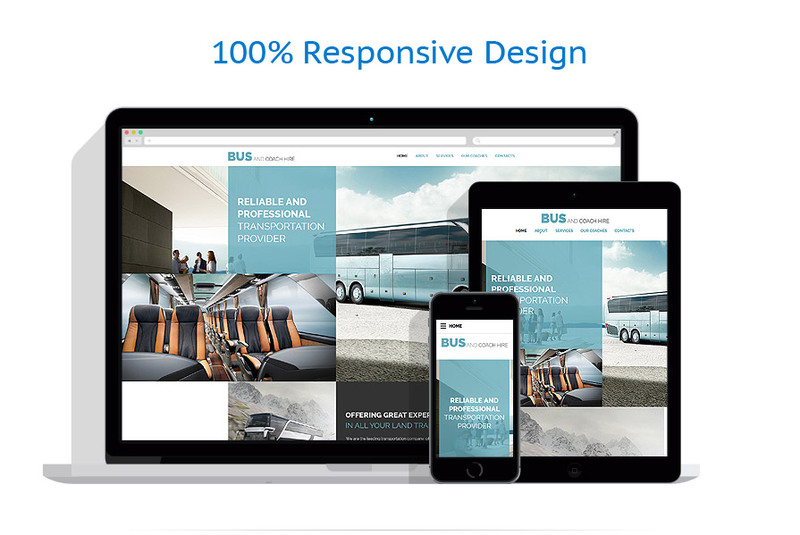 Use this responsive Website template for Transportation, Travel, Cars, and Communications websites.